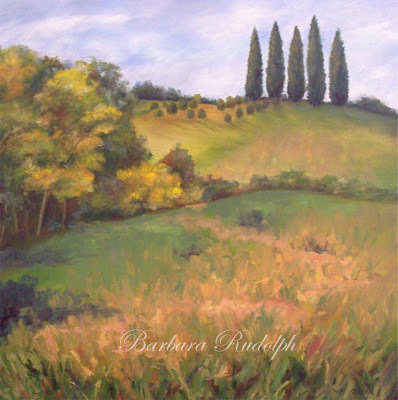 Barbara Rudolph Fine Art: TUSCAN LANDSCAPE - "The Sunlit Pathway"
This landscape painting is an oil on linen, and it is 27"x 27". 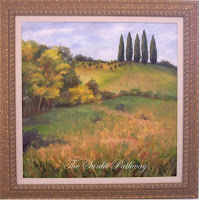 The original is $ 2900.
so full of details , colors and life . it is a very preciosist work . but i was able to keep the expontaniety . Thank you so much, I checked out your beautiful work too. I really love the skys that you have captured in your landscapes.